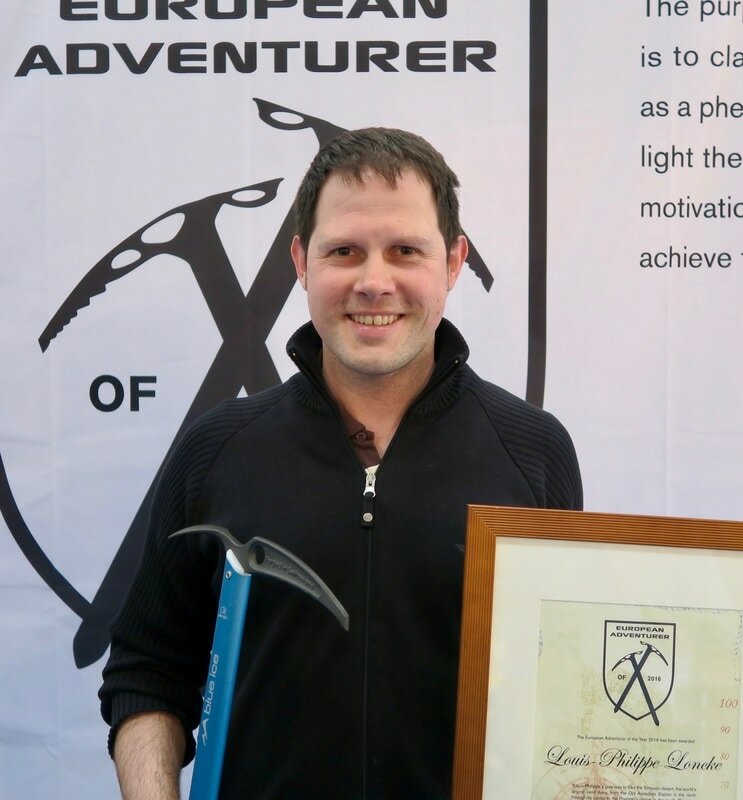 Belgian Louis-Philippe Loncke has been awarded European Adventurer of the Year 2016 for his unsupported solo walk through the Simpson Desert, Australia. 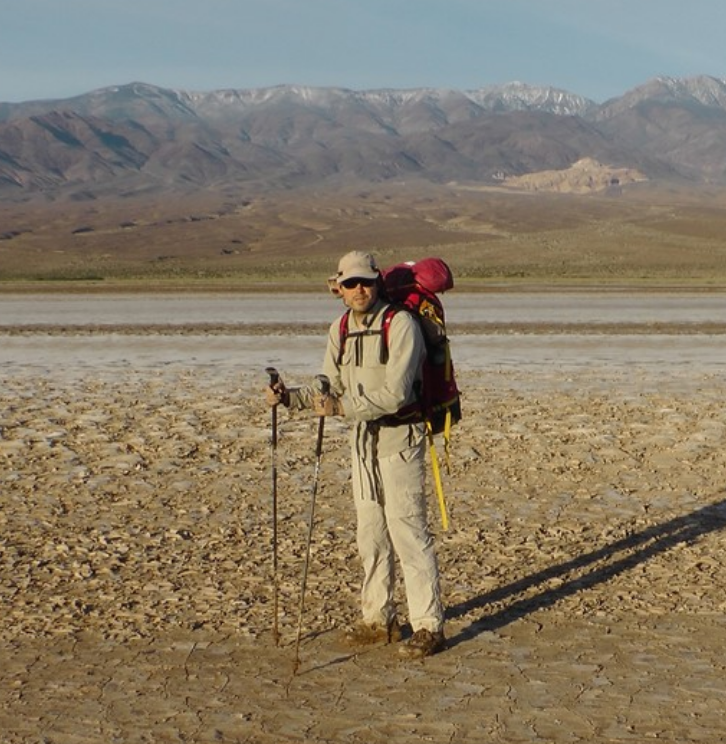 With this adventure Loncke completed his project to traverse 3 deserts with Death Valley, USA, the salt lakes of Bolivia and with the Simpson Desert as crown. The winner was presented at the ISPO Fair in Munich on Tuesday 7th of February. Belgian explorer and adventurer Louis-Philippe Loncke has set benchmarks in solo and fully unsupported treks. In less than a year, he managed the traverse of 3 extreme deserts. He pushed the limits of desert trekking without a cart by using just a backpack loaded with minimal gear and all of his water and food. He became the first person to cross Death Valley National Park unsupported, the first to finally cross the salt lakes of Bolivia and do a second crossing of the very remote Simpson Desert in Australia. This was the longest crossing of nearly 300km where he started with 61kg on his back including 40 liters of water. “Driven by the idea of crossing unpathed land alone and with the help of thorough planning and a strong will, Belgium Louis-Philippe Lonke proved that it is possible to walk the deserts with a backpack by carrying all supplies himself. His accuracy and focus made his demanding adventure possible. Louis-Philippe displayed that following dreams and achieving outstanding outcomes in adventures are possible as an amateur and without the help of massive budgets and technical support. It is inspiring to a wide audience of people who enjoy an active outdoor lifestyle. 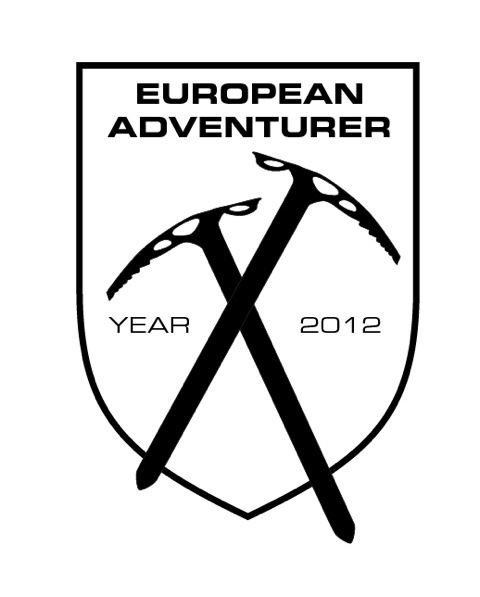 The winner of the European Adventurer of the Year is a person or a group that has inspired people to experience outdoor life and adventure through remarkable achievements anywhere in the world. The winner and nominees have shown determination, persistence, courage and a pioneering spirit in order to obtain their goals. The award is a way to highlight the desire and determination that these people possess. The prize consists of the honor and recognition of achievement and the winner is presented at the ISPO Fair in Munich each year. 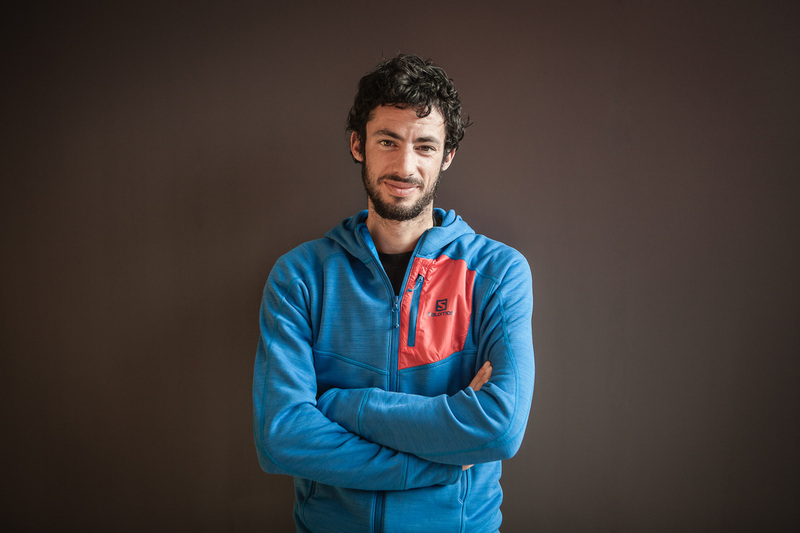 Kilian Jornet has been named European Adventurer of the Year 2014 for his achievements in sky running alpinism. The winner was presented at the ISPO Fair in Munich this past weekend. Stockholm, February 17 2015 – Over the past year, Kilian Jornet completed a number of outstanding sky running alpinism achievements, which resulted in him receiving the prestigious award for 2014. The prize is a great honor and recognition. The award ceremony was held at the ISPO Fair in Munich, on February 7. Rainer Schlump, International Event Manager at Salomon accepted the award on Kilian Jornet’s behalf. 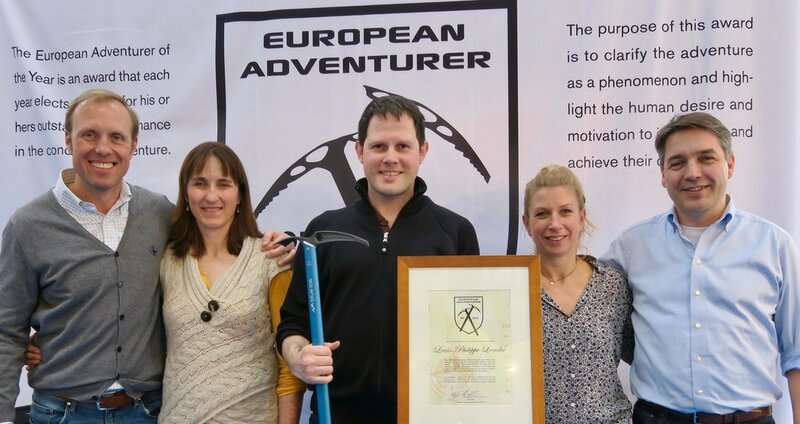 The winner of the European Adventurer of the Year is a person or a group that has inspired people to experience outdoor life and adventure through remarkable achievements, wherever in the world. The winner and nominees have shown determination, persistence, courage and a pioneering spirit in order to obtain their goals. The award is a way to highlight the desire and determination that these people possess. The prize consists of the honor and recognition of achievement and the winner is presented at the ISPO Fair in Munich each year.